If Maldives from the air is a spellbindingly spectacular sight, can you ever imagine about the beauty of its underwater world? Venture far off into the deep and discover its colourful marine life! The stunning beauty of the schools of fish that roam free in the deep blue waters of Maldives can truly take your breath away. These creatures add so much colour and charm to the oceans, making Maldives one of the most popular diving and snorkelling destinations in the world. The colourful coral reefs of the island provide important habitats for these fish. Have you ever imagined swimming with a large group of hammerheads? The fearsome killing machines of the seas, with their razor-sharp teeth and icy cold eyes of death, also occupy the ocean around Maldives. Some of the common species of sharks in Maldives are black-tip reef shark, blue whale sharks, and hammerhead sharks. 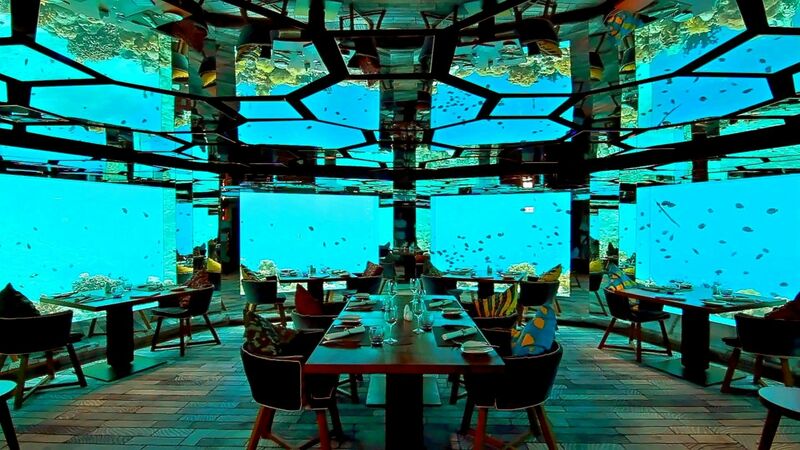 Many a Maldives resort the likes of Anantara Veli Maldives Resort offers excursions into the deep sea to witness these gigantic creatures. The majestic rays can truly intimidate you as they glide effortlessly in the oceans. 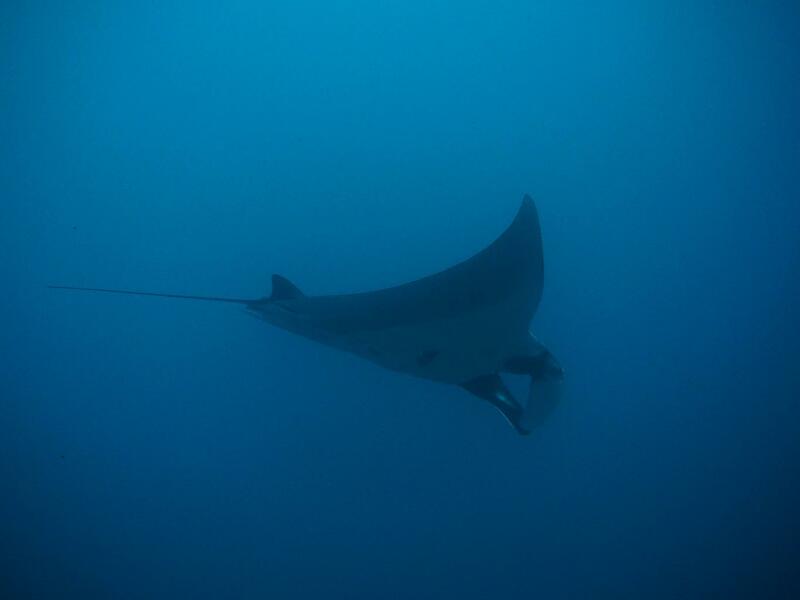 Rays can be easily recognized by their flat bodies similar to sharks. Encounters with eagle rays are quite common in the Maldives as they generally prefer the open waters over the deep bottom of the sea. Love sea turtles? Here is a great chance to witness these magnificent creatures while holidaying in the Maldives. The gorgeous loggerhead turtles, hawksbill turtles, green turtles, olive ridley sea turtles and leatherback turtles can be seen here. The Maldives is one of the best places in the world for whale watching. The warm and tropical waters surrounding the archipelago is a playground for these gentle giants. Read on to know more about Whale and Dolphin watching in the Maldives. Booking the right tour guide and boat plays a crucial part for a proper whale watching experience you need to identify a whale watching charter that is equipped with gear such as life jackets, proper whale tracking equipment, comfortable seating and facilities such as toilettes and fresh water on board. Tours can be arranged from the resort or villa in Maldives during your stay. Resorts like Anantara Kihavah Maldives Villas, for example, have their charter tours which you can take advantage of. February to April and October to November are considered high season for whale watching in the Maldives this is the time of the year when you can avoid the monsoons which makes the sea rough. Ideally, during these times, the seas are calm and the chance of spotting whales and dolphins are high. The Blue Whale is the largest animal on earth measuring over 30 metres in length, and it is truly a thrilling experience to see these gigantic creatures leaping through the waves. Dolphins are also sea mammals and they can be spotted in groups these feeble creatures love to show off their acrobatic skills in front of visitors. 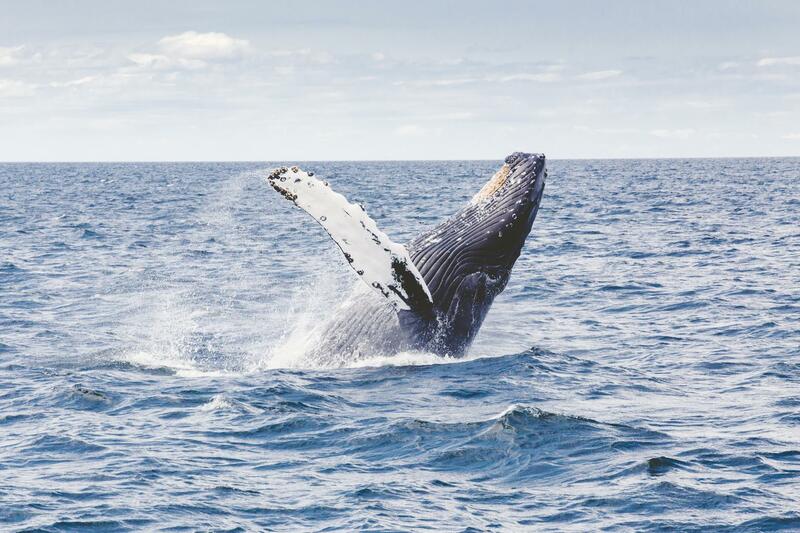 Even though whale watching sounds as a simple leisure activity, there are a few things you need to remember before heading out to the ocean on a boat. You should wear light clothing as you preferably clothes that can protect you from the tropical sun and water splashes. Don’t forget to bring a pair of binoculars this helps you to see the dolphins and whales if they show up a little far from your boat. Always wear a sunscreen avoid being sunburnt. Jetting off to travel the world? Then do look forward to spa treatments that are out of this world. The best elixir for rejuvenating a tired mind, body and soul, the following treatments are pure bliss. Consider six hours of utter bliss and you have the Rose ritual. Look forward to a day of nothing but the most luxurious pampering with one of the best Maldives spa packages at a hotel like Niyama Private Islands Maldives. The treatment takes you on a fragrant journey of utter rest and relaxation, centred on the aromatic radiance of exotic Arabian roses. The Qasr al Sarab Romance is aimed at couples and offers side by side treatments. Enjoy the exfoliating benefits of desert sand and rose extract while an exotic massage with desert rose oils promise to take away your cares and arouse a new sense of wellbeing. Start off by laying on a heated black marble bed; there your ritual starts with the use of black olive soap and a kessa mitt used for polishing. At the same time, therapeutic steam enhanced with medicated herbs offer a soothing cleanse to your system. This is a deep healing treatment that is given in combination with medicinal desert marvels and curative heat procedures. Get set to relax and while away your cares as heated stones and a combination of desert sand poultice together with sweet almond oil is rubbed into your body. Luxury is a word the world uses on a daily basis, whether they are selling a million dollar car or a 40 dollar shampoo. Where did this word come from? Read on to find out. The Latin word luxus means excess and in some context, even lechery or lust. The word luxury is derived from luxus and is used to describe opulence or anything lavish. Luxury, this term is as old as the world and civilisation itself. Anything and everything can be luxurious, from luxury hotel brands to luxury food brands, people are pulled towards this word automatically. This does not mean the world is becoming a mass web of materialistic needs, on the contrary, it could mean that throughout the generations, the humans are always looking for a way to improve themselves, whether it is by service or advancing a product. If you to go a luxury hotel, for instance, to Anantara Hotels Resorts and Spas, you’d see that the decor and style of service are highly advanced when compared to a hotel that calls itself homely or boutique style. The word luxury usually means pampering and excess lavishness, thereby, costlier than the usual items or services too. Whether you are planning to spend holidays away from bitterly cold days in a traditional villa in the tropical east or merely planning to enjoy a cosy vacation of indulgence you need to know what you should be looking for in a luxury villa in Asia. Before you are trying to hunt down the best Maldives resorts for your luxurious vacation, you should know what your money can buy you. All that hefty dash of glamour you might expect during your vacation will all be in one place once you know what you exactly want during your stay. If what you are looking for is a personalised, customised version of Maldives’ most exclusive accommodation, you can always consider one of the country’s well-known island resorts like Anantara Kihavah Maldives Villas. Since part of your luxurious vacation should just be about lying down in a therapeutic spa far away from the usual hedonistic party scene, you should expect your villa to be equipped with a Jacuzzi tub and a resort spa where you could just unwind. Of course, the villa should be stocked with refreshment at hand for you to enjoy that vacation the right way. Do not forget to request for that fully stocked mini bar for you to enjoy while chilling out. With other obvious perks of indulgence such as over water decks and room service, you should be able to slip into that trance of high-end living you always desired on your vacation. Look for a terrace for the sundowners and a pool to lounge next to after doing a few laps. Enjoy your ultimate luxury getaway with the best perks and facilities. One of the most iconic symbols of prosperity is the sailing yacht. These are some of the most expensive vessels in the world, with some even surpassing the price tag of a billion USD. Sailing yachts however can come in various shapes and sizes but all of them can place their occupants in the lap of luxury. This means that whether it is one belonging to a Russian billionaire or resort such as Naladhu Maldives using it to provide a Maldives luxury cruise, they are all about opulence. Sailing yachts are generally longer than the any other counterpart such as cruising yachts or cruising yachts. The length of an average luxury yacht revolved around twenty-five metres or around eighty-two feet. The largest sailing yacht in existence however, measures a total length of just less than three-hundred feet. Luxury yachts generally contain a host of facilities and are defined by the presence of a variety of automated functions. In the present day, any given luxury yacht is bound to have air-conditioning and at least one television. Electronic-winches are also a very common commodity when it comes to raising the sails since the days of such functions being carried out manually are mostly over. In order to support these systems, generators are mandatory. In addition to luxury items, there will also be the presence of global positioning systems and various navigational aids. Yachts over the length of thirty feet will most likely have a shower, with hot-water available. It will also most likely have a bedroom with a refrigerator as well, requiring further electricity. There are many ways modern yacht-builders cater to these electrical demands. One is through the inclusion of an additional engine that powers an alternator. There are easy alternate methods as well, such as the use of solar panels. Even the smallest yacht can provide a luxurious experience and any voyage involving one is bound to be memorable.